BethRock Limo as you can see offers its services for a large range of functions and events, and serves Bethesda, Rockville and surrounding areas including Potomac, Gaithersburg, Silver Spring, and of course, Washington DC. We have provided limousine services to just about every kind of event imaginable, and have the know-how and experience that enables us to get it right every time. We can advise you and help you to plan a top notch and memorable occasion that will stay in your memory forever. Using a limousine is both handy and enjoyable. Our professional chauffeurs will spoil you from start to finish, making you and the occasion feel ultra special. Whether you need to get to the airport, a birthday party, or are having a night out, BethRock Limo will get you there safely in style and on time. We have a huge selection of vehicles for you to select from. 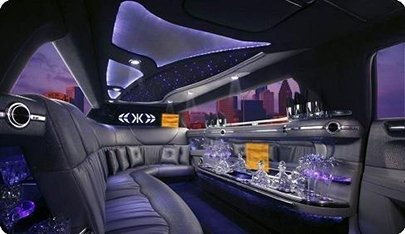 Whether you need a town car, stretch limo, party bus or SUV, we have them available and at your disposal. The interiors are fitted with a flat screen TV, a bar area with stem glassware, music system, and as you would expect luxurious leather seating. Each vehicle is meticulously cleaned and prepared for every booking. 301-825-8833, or you can simply book online by completing the form above and clicking "Give me my FREE Quote” to find out how we can assist you.